rom Di Molto Bene! From the anime And You Thought There Is Never A Girl Online? comes this new figure of Nekohime! Wearing a catgirl outfit, one that barely fits her curvaceous body, Nekohime is sculpted at 1/7-scale and measures 7 7/8" tall. From FREEing. 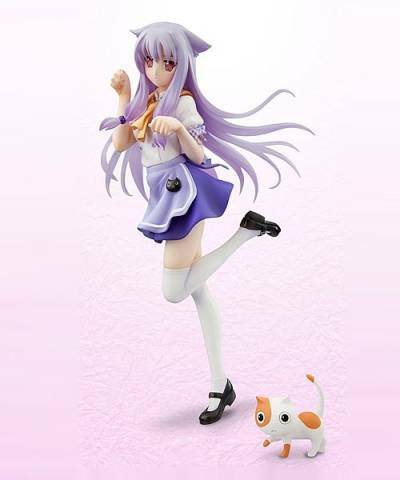 From the anime series No Game No Life comes a figure of Shiro dressed up as a cute cat! The figure is palm-sized at just 1/12-scale, allowing her to easily be displayed beside you on your desk or in various other areas around you! Be sure to add the little kitty Shiro to your collection! From PHAT! 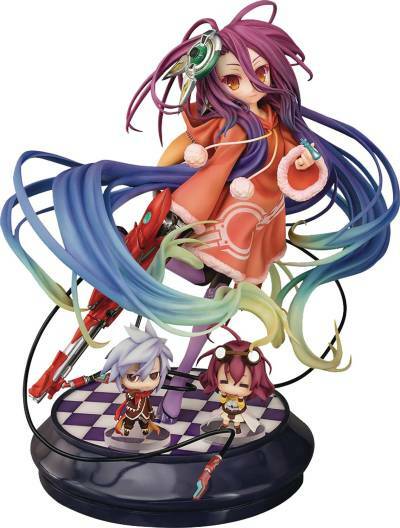 From the anime movie No Game No Life -Zero- comes a 1/7-scale figure of the ex-machina heroine, Shuvi! 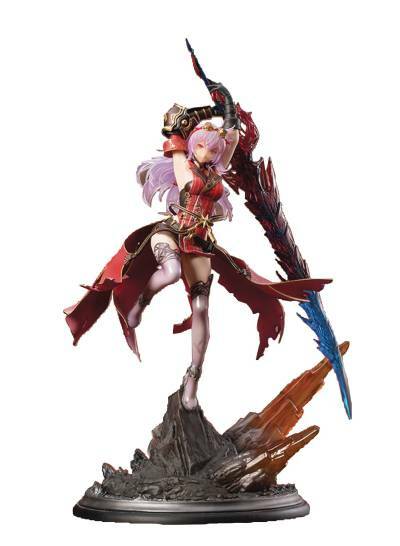 The figure is based on the key visual from the original novel that the movie was based on, and captures Shuvi as faithfully as possible with careful use of colors, intricate sculpting and other creative touches. The large gun she holds in her right hand and the artificial nerve cords around her hips have a detailed mechanical appearance which contrasts beautifully with the cute, soft-looking appearance of her body. Mitsumasa Yoshizawa (REFLECT) sculpted this piece of art based on the illustration by Yusuke Kozaki well known as a character designer of NMH series. Sized almost 1/5 scale, coquettish Silvia has a presence straddling a beam Katana. This figure includes some bonus parts such as its own base and the fabulous Beam Katana, "Blood Berry", is a Travis' initial weapon in the series designed by Shigeto Koyama.